As part of its ongoing efforts to increase degree completion, the Association of Public and Land-grant Universities (APLU) today named Wayne State University as a finalist for its 2018 Degree Completion Award. The annual award works to identify, recognize and reward institutions that employ innovative approaches to improve degree completion while ensuring educational quality. The annual Degree Completion Award is open to all APLU members. A panel of eight reviewers examined the applications to determine the finalists. The winner will be announced and all finalists will be recognized at the APLU Annual Meeting, held Nov. 11-13 in New Orleans. To highlight the winning institution’s degree completion efforts, APLU President Peter McPherson will visit the winning campus and meet with university leaders, students and external stakeholders to celebrate the school’s role as a national leader in developing innovative programs to increase retention and graduation. Wayne State University created a student success initiative in 2011, investing more than $10 million in student success over the following five years. The initiative worked to improve student success by hiring professional academic advisors, increasing support for faculty teaching development, bolstering support for underprepared students, establishing first-year experiences for new students and strengthening financial aid. Faculty are highly engaged in course and curriculum redesign, including the recent overhaul of the university’s general education program. The university also established a student retention and tracking system to monitor student progress. Finally, Wayne State recently created the WSU Warrior Way Back Program, a debt-forgiveness program for adult learners who cannot return to college because of past-due balances. 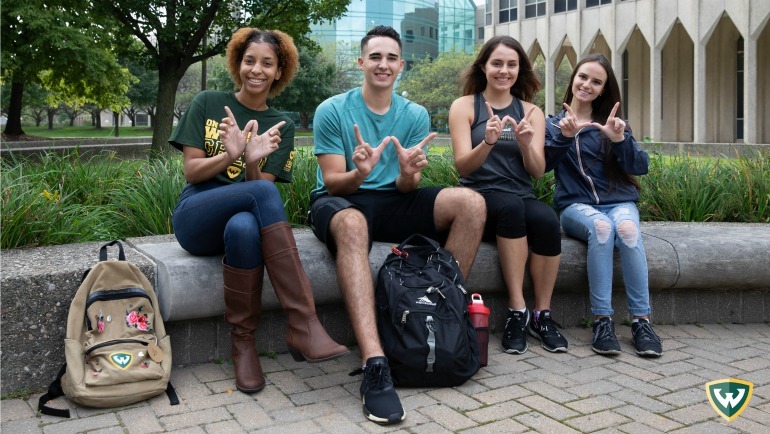 The comprehensive approach to student success has yielded remarkable gains, with Wayne State’s graduation rate nearly doubling in six years, increasing from 26 to 47 percent. Gains have been particularly pronounced among first-generation, low-income and minority students. In light of this progress, the university is now planning new efforts to further reduce educational disparities and to improve our graduation rate. Past winners of the APLU Degree Completion Award and previous iterations of the honor include University of Hawai‘i at Mānoa (2017); University of California, Riverside (2016); Morgan State University (2015); University of Tennessee, Knoxville (2014); Florida State University (2014); Georgia State University (2013); and San Francisco State University (2013). APLU is a research, policy, and advocacy organization dedicated to strengthening and advancing the work of public universities in the U.S., Canada and Mexico. With a membership of 237 public research universities, land-grant institutions, state university systems and affiliated organizations, APLU's agenda is built on the three pillars of increasing degree completion and academic success, advancing scientific research, and expanding engagement. Annually, member campuses enroll 4.8 million undergraduates and 1.3 million graduate students, award 1.2 million degrees, employ 1.3 million faculty and staff, and conduct $44.9 billion in university-based research.